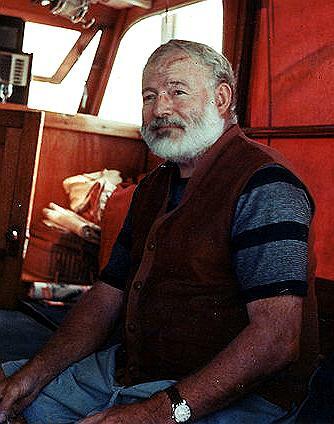 – Ernest Hemingway on booze, writing, war and life. 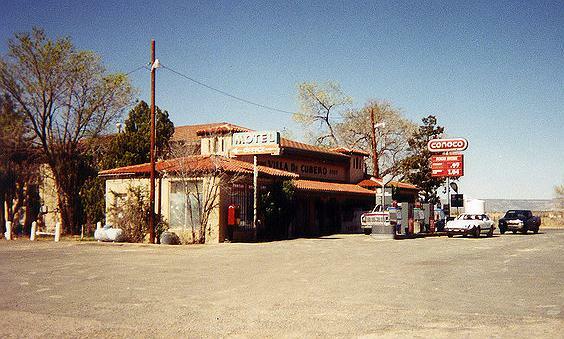 The turn-by-turn guide to Route 66 http://www.historic66.com/description/ I was following got me thinking about Hemingway. It mentioned the rumor that the author might have written parts of “The Old Man and the Sea” while staying at the Villa de Cubero in Cubero. I’ve seen Hemingway’s homes in Key West, Florida and Sun Valley, Idaho, where I actually met one of his granddaughters, and have stood before a memorial in his honor that sits beside the Big Wood River, so of course I was interested in this New Mexico connection. Actually, I usually visit any place along the way that involves known writers. As a writer myself, I’m fascinated picturing aspects of my wordsmith colleagues. Cubero is not quite a ghost town, I noted as I passed through without stopping. Not sure now why I didn’t. I think because I wasn’t sure which of the crumbling ruins was where Hemingway stayed and I had gotten a late start this day and wanted to get to Flagstaff by day’s end. I only got to Gallup, however, before calling it a day. I do tend to dally in my travels. 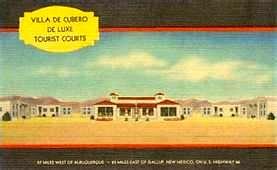 Meanwhile, intrigued by the Hemingway connection to Route 66, I got online and discovered this 1999 blog http://www.dukecityfix.com/profiles/blogs/the-cubero-adventures about Hemingway’s Cubero adventure. I definitely would have stopped if I had read it first. I also discovered that Lucille Ball had stayed at the Villa de Cubero when she and Desi split. Sometimes it seems like such a small world we live in. Connections seem to be everywhere. Bean’s Pat: The Power of the Sun http://tinyurl.com/7sufeox The Blonde Coyote takes action that’s good for the environment and eventually her budget. Not far from where we lived in Germany was the small town of Pruem. The main street is named Ernest Hemingway Strasse, because he was there as a war correspondent. thank you for posting! I love Hemingway, and the home I grew up in was on the old route in Springfield, MO. It really was the gateway to the west (about 1.5 hours from the Oklahoma line! You’re welcome. Thanks for commenting Mister Guy. I’ve truly enjoyed your site….some really nice photography and information, VERY INTERESTING …Thank you for sharing…I’ll be visiting again!